Acea Virtus Roma (SerieA) tabbed 24-year old Somalian international guard Faisal Aden (193-89, college: Washington State). He was tested in pre-season by Leuven Bears in Belgium. But he came back to the States, where he signed with Frisco Texas Legends (D-League). The last season Aden played at Washington State University in Pacific-12 Conference in the NCAA. In 17 games last year he averaged 14.5ppg, 3.1rpg, 1.4apg and 1.3spg. 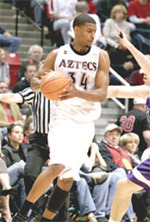 The former Washington State staris in his first season in pro basketball. He was called to Somalian Senior National Team this year. He helped Washington State to make it all way to NIT Final Four at the end of 10-11 season.